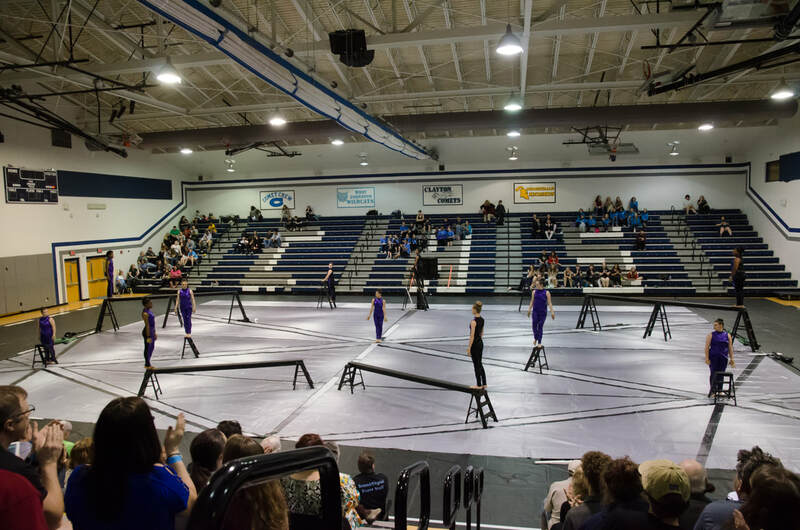 The Winter Guard is an indoor performance ensemble that consists of guard members. These groups start training in November/December. Rehearsals are held in the commons area or in gyms. Students learn choreography and routines with equipment for a several minute show. 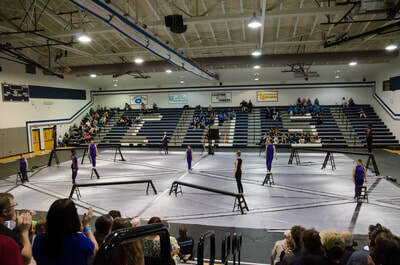 This show is performed at competitions from February through April (and can include long distance travel, depending on the season). The show is performed on a designed tarp. Costumes and a theme are planned along with a music track. In addition to dance, students will use flags, rifles, sabres, and a variety of other pieces of equipment. 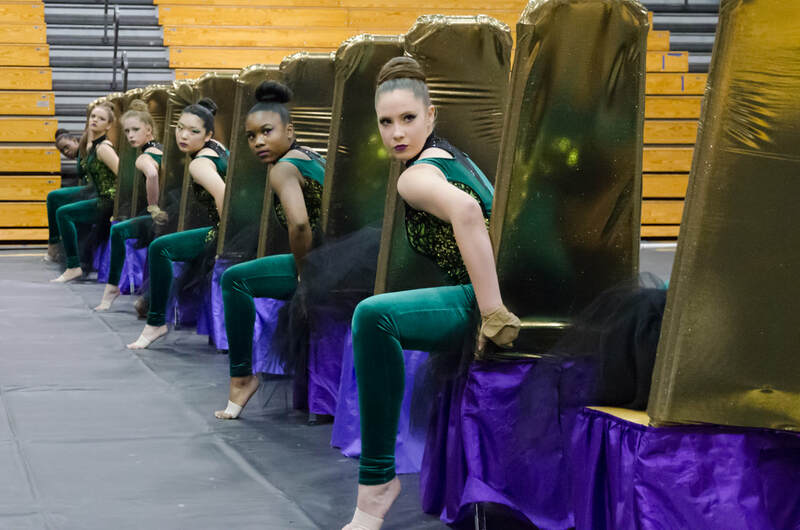 ​No prior experience is needed to participate in winter guard. Any student from Wakefield High School is able to join. You can find our interest meeting date on the calendar (typically in early December). Groups are determined by membership numbers and interest. 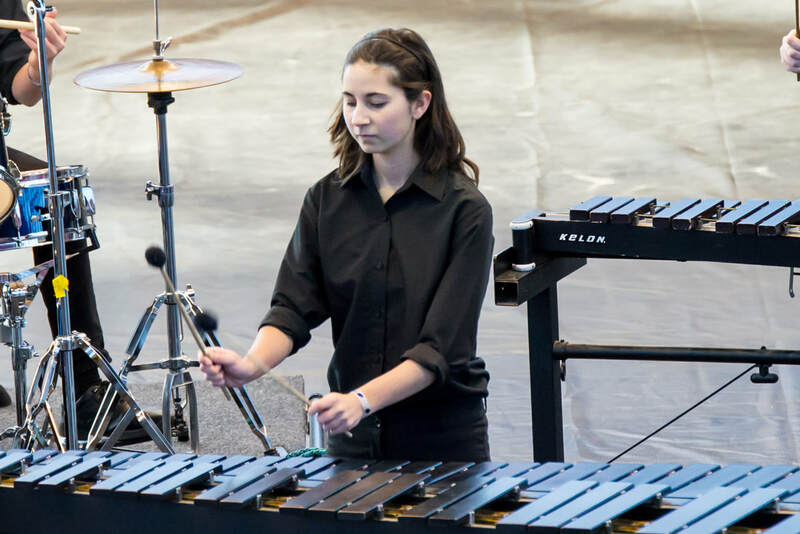 The Winter Percussion is an indoor performance ensemble that is focused on percussion instruments and music. This group starts training in December/January. 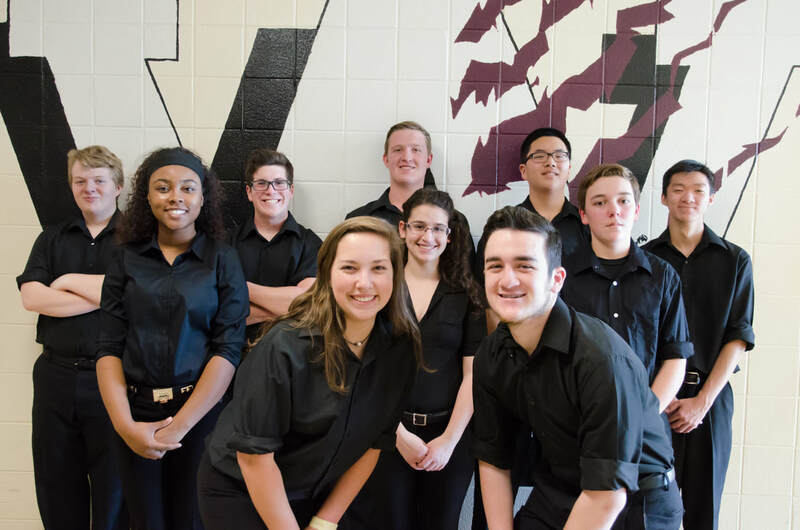 Members for this group must have either percussion or music instrument experience. Wind players are able to participate in this group. There are two types of winter percussion. Concert percussion is front ensemble putting together a several minute show of music. There is also front ensemble combined with marching percussion. This is both a musical and visual performance. Costumes, design, and tarps are more important for groups with marching units. 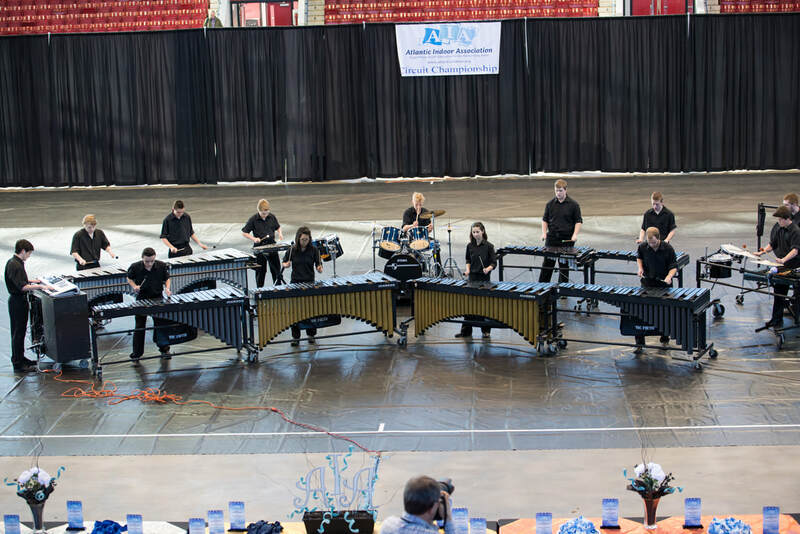 Wakefield has traditionally had a concert percussion group.